Each person will eat around 46 slices of pizza each year, whether or not that sounds like a lot of dough to you, Americans eat a lot of pizza. 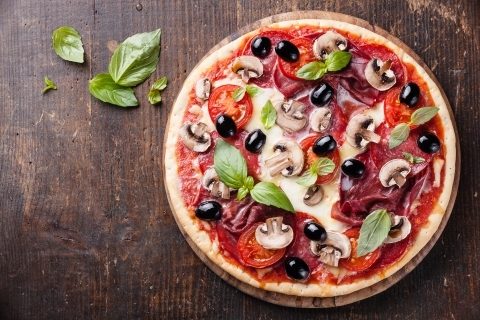 It’s no surprise then, that we all have our favorite pizza qualities. The crust, the sauce, the cheese, and the toppings, what your favorite quality is might depend on where you grew up or what style you fell in love with first. 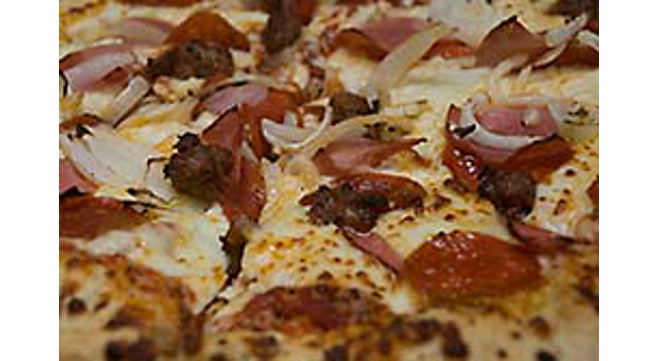 At Upper Crust Pizza, we have spent years developing our gourmet pizza that we know you’ll love. 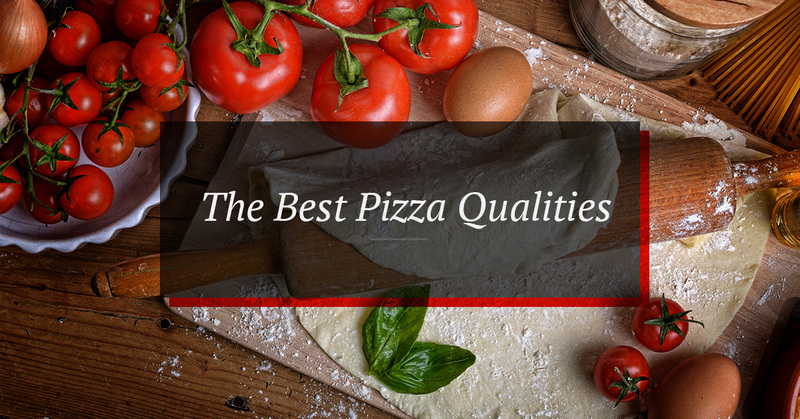 Read through some of the qualities we find people love the most about different styles of pizza. If you’re hungry, come visit us in downtown Santa Fe. If you’re from New York, you may expect nothing less than a super thin pizza crust. A perfect New York-style pizza is thin and foldable but still has a crispy bottom. There’s often an edge that you can hold onto, but this isn’t the focus of the crust. At the heart of the thin-style pizza is the delicate and soft crust that bends toward the tip, but still has a good chew to it. The long pieces need to be folded and with a turn of your head, they are almost eaten as a sandwich. You may not expect the crust to be chewy with it being thin and a good layer of cheese on top, but a good New York crust will still have an important crisp and chewiness. The beautiful combination of a still thin, but not quite thick crust and the definable edge that could almost be considered its own quality, just one bite of this pizza and you’ll be happy. Put as many toppings on this style pizza as you want, it will hold up to the weight of chicken, large chunks of sausage, and layers of vegetables. The perfect consistency of this thin/thick crust is a crispy bottom so your teeth can feel the texture, but then as your mouth sinks in, the soft chewy part of the crust takes over. Balance and proportion are key with this style, not so much crust that it overpowers the toppings, but not too thin so that it falls under the weight of the toppings. The flavor and texture of a thick crust pizza is a must. 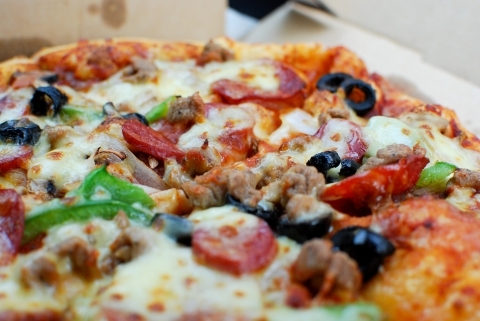 Although, if the crust of any style pizza doesn’t have any flavor, you might as well just eat the toppings. The texture must be light and airy, but still chewy and the flavor can’t be too floury. 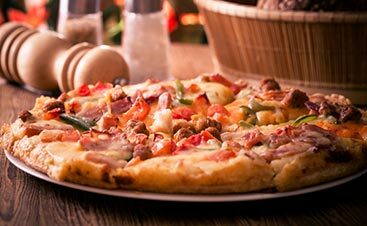 This pizza must have a crispy bottom and an almost sweet flavor to the dough that is a surprise to your taste buds but isn’t overpowering. When you reach the edge of the crust, it’s ok if you start dipping it in ranch, marinara sauce, or even honey, because that’s one of the best parts of this style of pizza. Still light and fluffy but with a little more chew to it, the edge is perfect for savoring. Subtle flavors are all you need in a pizza sauce. Made with tomatoes, olive oil or butter, garlic, onion, basil, oregano, salt, and pepper, it may be hard to pinpoint which ingredient is a focal point in the sauce. A sauce that has too much tomato flavor tastes like it belongs in spaghetti, a sauce that has too much garlic or too much oregano just tastes out of place. You also have to consider the freshness of the ingredients. Although surprisingly, canned tomatoes are preferable over fresh vine tomatoes, they just needed to be treated right, like any sauce base does. There are also several options for which type of canned tomato to use, including whole peeled tomatoes, diced, or crushed tomatoes, or a tomato paste or puree. The perfect sauce will feature just the right balance between sweetness, acidity, heat, and herbs. An incredibly essential part of a pizza, it is important enough to separate it from other toppings. 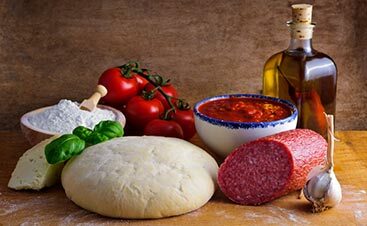 What pizza lovers need from their cheese is a stretch and a gooeyness that adds incredible flavor to any pizza. 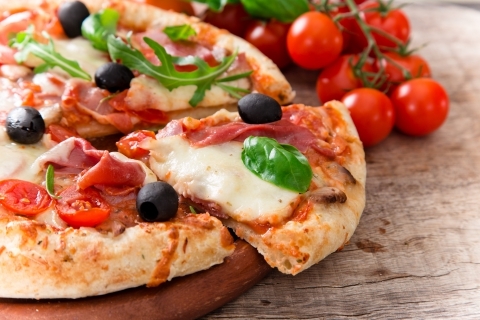 Mozzarella is clearly the most common type of cheese used for pizza, and for good reason. The cheese is minimally processed so it is light and creamy, has some juice to it, but isn’t runny, has a unique taste, and most importantly, it provides a perfect stretch when pulling a slice away from a hot pie. When cooked just right, mozzarella also has brown, nearly burnt spots scattered on the top of the pizza that adds a depth the flavor. 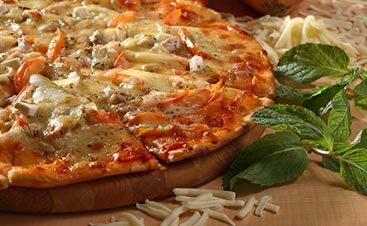 To continue with the deep cheese flavor, pizza with parmesan sprinkled on top will add a delicate flavor. Just don’t bake the parmesan, but sprinkle it on top. From a crispy crust, a balanced sauce, a gooey cheese, and your choice of topping, only you know what the perfect pizza for you is. At Upper Crust Pizza, we can’t wait for you to try what we think is the perfect pizza. A crust that isn’t quite thin, but isn’t thick, our pizza has a great edge to grab onto, a deep and balanced sauce, we strive to serve pizza that every customer wants to come back for. Choose either traditional crust, whole wheat, or even our gluten-free pizza crust, choose your own toppings or find a specialty pizza that will satisfy any craving. 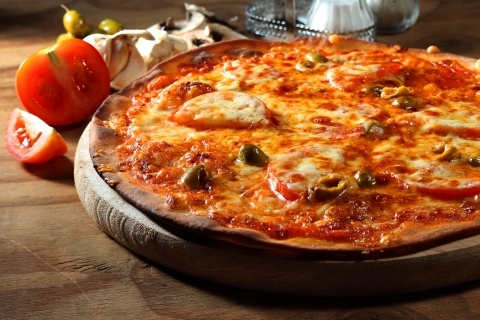 If you love gourmet pizza, we’re sure that you’ll find something for you at Upper Crust Pizza.